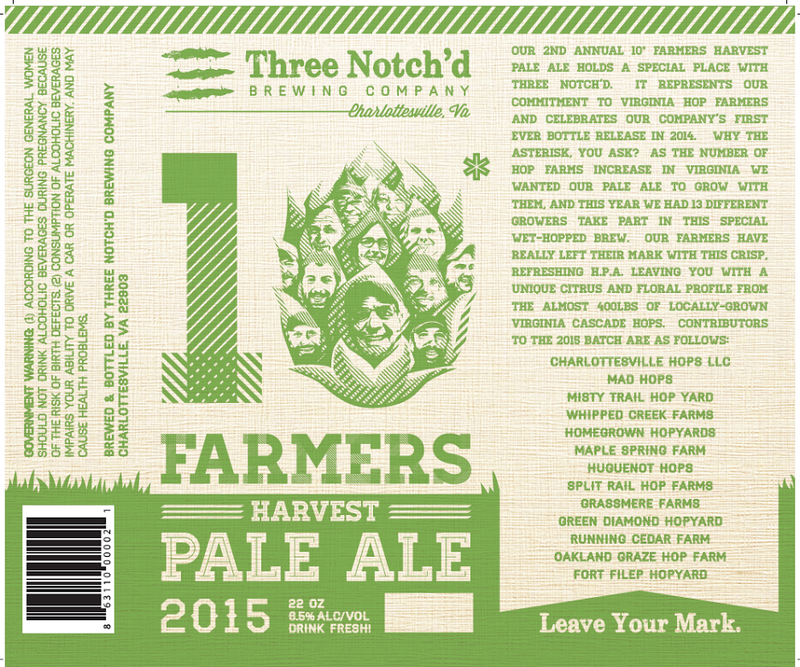 Piedmont Council for the Arts (PCA) and Three Notch’d Brewing Company (3NB) are collaborating to produce a fall beer to highlight the booming craft beverage scene in Central Virginia. We invite graphic artists to submit work to be featured on the beer’s label. – Artwork sizing and orientation should follow the format shown below (space used for wording must remain available). Artists may derive inspiration from the brew’s profile, “a copper colored ale that captures the greatness of fall treats in a glass. The aroma is full of vanilla, graham cracker, apple, and cinnamon. Much of the same aromas show up in the flavor profile, along with some spicy ginger.” All ingredients will be locally sourced. All submissions are due by Friday 11 September to Danielle Bricker <membership@charlottesvillearts.org> and should be entitled “Label Contest Submission”. The release event for the collaborative beer will be held on 1 October. Piedmont Council for the Arts catalyzes collaboration among artists, arts organizations, and government entities to stimulate creative expression, promote cultural tourism, and advance the effective management and celebration of Central Virginia’s richly diverse cultural heritage. This entry was posted on Aug 29, 2015 by miatomaine in Call for Entries, Local Events.